I feel a bit awkward telling you my 'Scottish Album of the Decade'. I'm an avid record collector – pretty much every penny I earn is ploughed into the cash registers of Monorail, Avalanche, Norman Records, Boomkat and Rough Trade. And my addiction gets worse with each passing year. I'm obsessed with buying CDs and vinyl, of all genres, and listening to as much different stuff as possible. So it might seem a little rich for me to say that my ‘S.A.D.’ is Rocket D.I.Y. 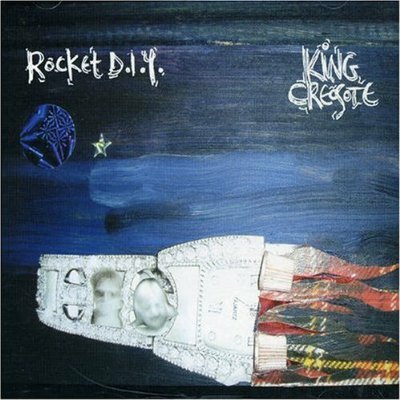 by King Creosote. Now, yes, I know... this was a Fence Records release... and, yes, I'm fully aware that I am a member of King Creosote's band. But I genuinely think, from start to finish, that this is the best album Scotland has produced since 01/01/00. Although, to be honest, I don't think the 2000s were an astounding decade for Scottish music anyway. This is where I could start a rant on how all the big names in Scottish music released their best stuff in the 90s, and pretty much all the new bands are watered down versions, each of whom have substituted songs for Americanised overwrought emotion. But I'll save that for another time, Biffy Clyro. The past 10 years in music have seen the rise of the DIY ethos – and it's been the first time where micro-labels, with next-to-no-budget have infiltrated the airwaves and columns of the media. As major label album sales plummet, and leading independents start to feel the pinch, it’s the wee guys at home using limited resources, who have created the most inspiring, heartfelt, forward thinking music. Swaggering, polished rock bands in tight jeans and no arse seem to regurgitate the same old shite, eyes on the charts – but electronic musicians and singer-songwriters with a penchant for all things lo-fi make the most interesting, complete sounding albums to my ears. 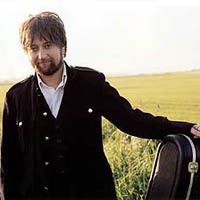 King Creosote is someone who needs to make albums. He’s churned out about 40 of the buggers, writing and recording each one within the space of a month. In September 2004 he produced two – Rocket D.I.Y. and Loose Tea On His Wynd. Hopefully I've stirred your interest.